Every day, your business will look its best. Count on ServiceMaster Clean of Peterborough to enhance your image and provide a clean, healthy and well-kept workplace environment. Our highly trained cleaning professionals are dedicated to going above and beyond your expectations. Through communication and teamwork, we clean your office exactly the way you like, day in and day out. We use the latest methods, equipment and technology to do the job right the first time. After all, your office doesn’t just make a statement to your staff. It makes a statement to your customers and guests. The ServiceMaster Clean Capture and Removal Cleaning® system combines advanced equipment and microfiber technologies to dramatically decrease airborne dust, VOCs and bacteria, resulting in a healthier setting for both staff and guests. The ServiceMaster Clean Quality Assurance Program is designed to establish a continuous method of evaluating and monitoring janitorial services. The program is tailored to suit various types of complex office buildings, plants, schools, malls and healthcare facilities. 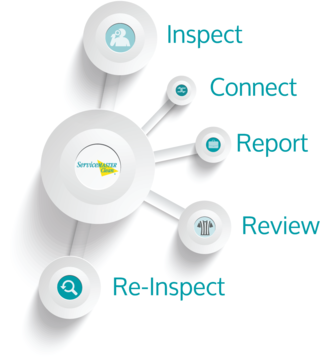 ServiceMaster Clean can assure you that your premises will benefit from the highest level of quality control available at all times by combining highly trained staff with state-of-the-art software driven technologies that allow stakeholders to communicate any concerns in real time. One of our most important tools isn’t a mop or broom—it’s communication. It guarantees that should a problem arise, we are quick to address it. Constant accessibility and communication ensure janitorial staff knows your business’ unique cleaning needs and that we are continuing to deliver a cleaning service that goes above and beyond your expectations. We are results driven, aiming to consistently do the job right and striving to make your job hassle-free. If we don’t meet your expectations the first time, we’ll work to correct it immediately. Over 60 Years Of Doing The Job Right. For over 60 years ServiceMaster Clean has been providing professional janitorial services to commercial facilities. 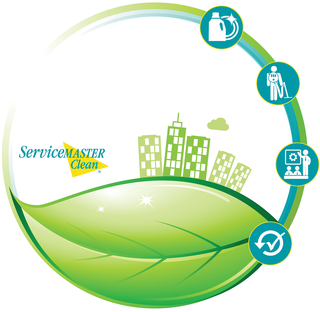 ServiceMaster Clean stands behind our service. We have developed systems and processes to ensure the highest degree of quality control and communication. Today, over 100,000 organizations trust ServiceMaster Clean to keep their facilities looking great every day. I would like to be added to your mailing list to receive special offers, newsletters, and information about your services. Copyright © 2017 ServiceMaster Canada. All rights reserved.